Good and bad news for fans of completely fictional evil-doers. 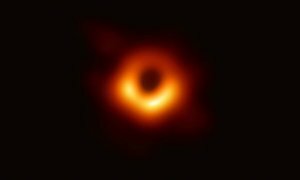 On the one hand, a team of two hundred people spent a decade photographing a cosmic object only to discover it’s the Eye of Sauron looking at us / a super massive black hole over a billion times bigger than the sun. That’s the photo of him up there. On the other hand, the trailer for the bizarrely labelled live action Lion King remake is out, and Scar doesn’t come across as the stately evil of Jeremy Irons, but… well let’s just say divisive. A new take on the movie. The trailer is below.